espite resting (or not) on opposing sides of the globe, the exchange between Egypt and The White Isle is still going strong, with the Sharm El Sheikh wings of Pacha and Space both in the poll again. 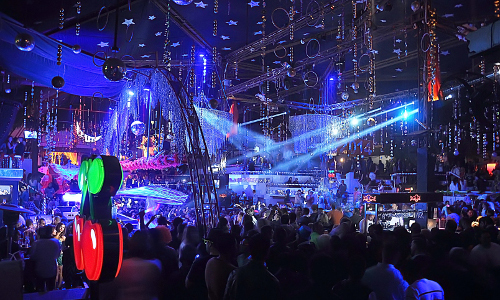 Merging the twin cherry magic of its Balearic sister with the North African architecture of its homeland, Pacha Sharm El Sheikh has been a decadent carnival of dance joy ever since it opened in 2004. Made up of white domes, VIP terraces and littered with glitter and garish decor, this open-air colosseum — a clutter of swimming pools, foam, CO2 and contortionists — offers a spectacle worthy of its Ibizan sibling. But don't expect to find the occasional underground star here during peak time — Pacha residents such as Guy Gerber or Solomun — Egypt's Pacha only has ears for more mainstream sounds.